Qwertyblog.net - Asus is one of the most famous brands in the world. Not only laptops, but Asus also has smartphone products that can compete in the market. One of them is the Asus Zenfone smartphone series. Asus always presents sophisticated quality smartphones that keep up with the times, such as the Asus Zenfone 2 Laser ZE550KL. Asus Zenfone 2 Laser ZE550KL Slightly different from Zenfone 2 which is present as a premium product, the latest Asus Zenfone 2 Laser smartphone comes as a smartphone with a cheaper price. Zenfone 2 Laser is equipped with Laser Auto Focus technology as one of the excellent features. The use of Laser Auto Focus technology is called can accelerate the focus on the object image. This smartphone has a Qualcomm Snapdragon chipset supported by 64-bit quad-core to octa-core processors. Zenfone 2 Laser is equipped with PixelMaster Camera. This technology allows images and videos captured by Zenfone 2 Laser to be brighter up to 400 percent in dark conditions. Zenfone 2 Laser camera specifications, 13MP rear camera with f / 2.0-aperture lens and 5MP front camera. This new laser-autofocus feature can reduce blur generated and improve image stabilization. Backlight mode (Super HDR) allows you to see clearly during the day and the existing Super Resolution mode can also help you to capture detailed images with resolutions up to 52MP. For the screen, the Zenfone 2 Laser comes with a choice of 5 and 5.5-inch screen sizes, with a Qualcomm Snapdragon 410 quad-core chipset. While for the Zenfone 2 Laser measuring 6 inches, and equipped with Glass Gorilla 4. This makes it safer and stronger than the previous version of Zenfone 2. RAM used by Zenfone 2 Laser is distinguished by screen size. For Zenfone 2 Laser with a screen size of 5 and 5.5 inches, using 2GB of RAM, while for the size of 6 inches, uses 3GB RAM. The Zenfone 2 Laser is equipped with the Android 5.0 Lollipop operating system and 4G LTE Cat 4 network support. This ZenFone 2 Laser can last up to 2 days for normal use thanks to a 3000mAh battery and can be faster if you are a fairly active user. 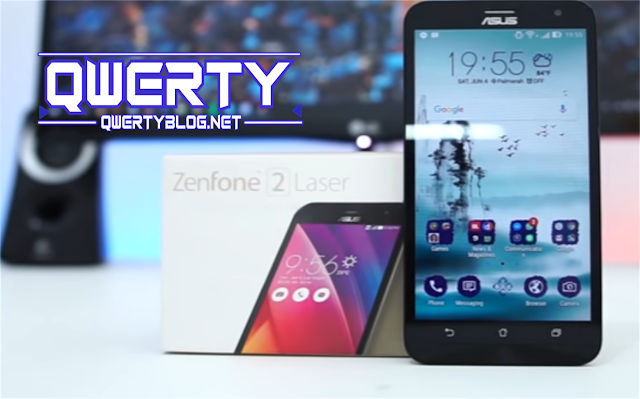 0 Response to "Want To Buy Asus Zenfone 2 Laser ? This Is The Advantage Of The Latest Asus Zenfone 2 Laser"